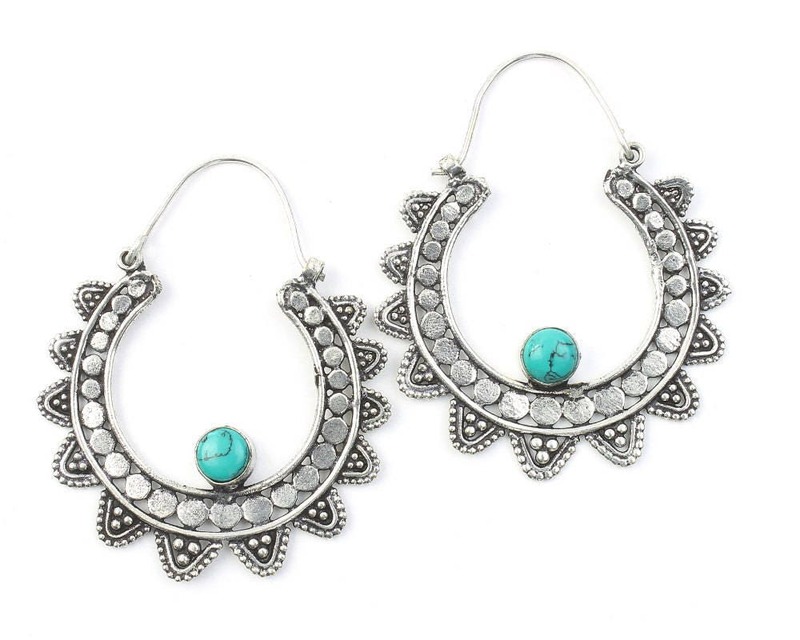 Amazingly detailed earrings featuring a Turquoise center stone. 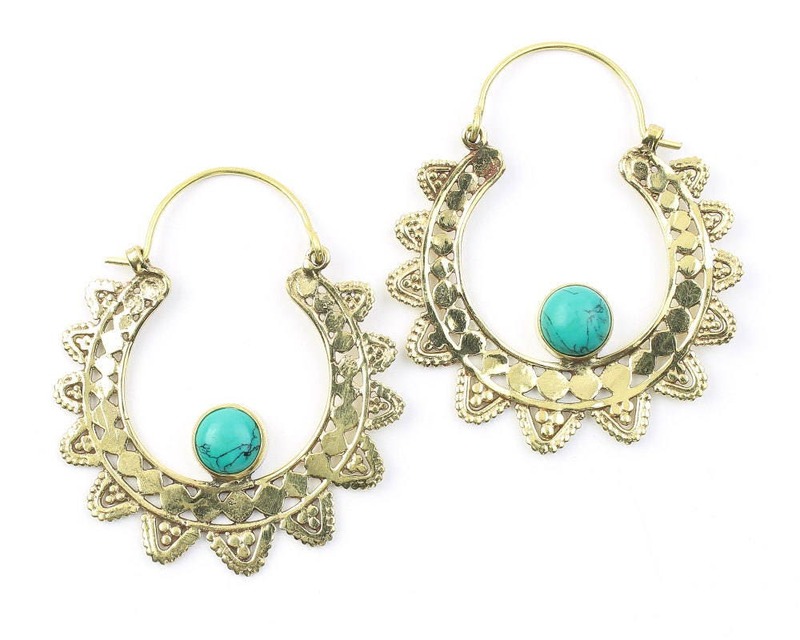 Beautiful hoop shape covered in intricate patterns. Lovely earrings, thanks so much!